Our company has been established in the "Cote d'Azur" for 25 years. We are a French family run business, strong of our heritage of French style tailor made seating, banquettes and furniture. 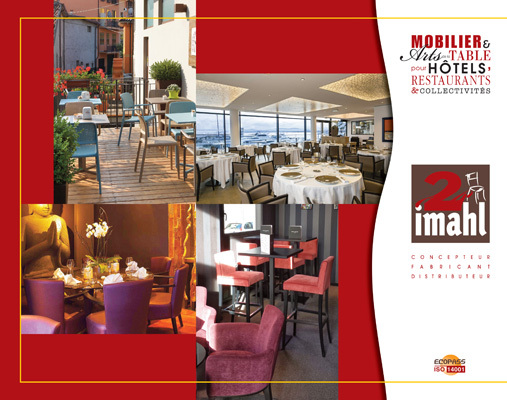 We have specialised in the making and selling of professional furniture to Hotels, Restaurants, Bars and Brasseries. 2imahl commits itself to the protection of the environment by obtaining ISO:14001 certification ! Download our catalog of furniture for restaurants, hotels and collectivities, in pdf format. Download our "Tableware" catalog : cutlery, dishes, tablecloth and accessories.